What does it mean to opt outside? Instead of a shopping marathon, consider spending the day after Thanksgiving outside. Get your heart rate up by hiking instead of by maxing out your credit card next Friday. ‘Tis the season of the holiday hustle and bustle. 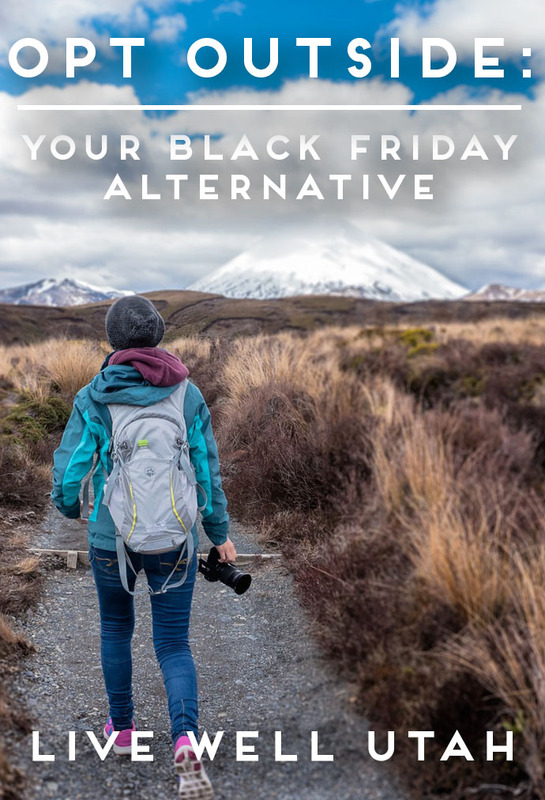 While we are only just starting November, many of us are already starting to stress over the holidays that will be here before we know it – from airport schedules, to how to cook the perfect meal and even planning for Black Friday shopping deals. But maybe it is time to take a step back from everything. Last year REI did something unprecedented – they gave all their employees a paid day off on Black Friday, the busiest shopping day of the year. They urged consumers to go enjoy themselves outside, and they gave suggestions on trails and activities in every state. The movement was mentioned 84,763 times during the week of Black Friday 2015. This year, REI, along and other companies, will be closing their doors on Thanksgiving Day and Black Friday. You may be thinking, so why should I opt to be outside when these are the best deals of the season? Many Black Friday deals are no longer just on the Friday after Thanksgiving. Check your local ads and stores to see what and when the sales are. Many will have deals happening throughout the month of November and December. Spend time with your family. Thanksgiving is a time when our thoughts turn to gratitude. Why not show it by participating in a family activity outside? Go on a hike or play at a local park. These are the activities that will make lasting memories for your family. You just spent Thanksgiving day eating. If your family is anything like mine, we spend the morning cooking and then graze on the food all day! Being physically active the next day will not only make you feel better, but it will help create good habits before your New Year’s resolutions. We live in the beautiful state of Utah! I think we sometimes forget to really admire the resources we have available here in our state. Utah has 45 state parks and five national parks, all offering diverse recreational opportunities. If you do not want to drive to a park, check out recreational opportunities in your county. Visit your local county website to see what is available in your area. Will you be a part of the 390,491 people opting outside this year?